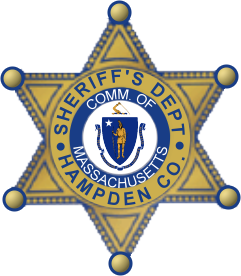 The Office of the Sheriff - Hampden County is made up of highly-trained Uniformed and Plain-Clothes Deputy Sheriffs who bring a wealth of knowledge and experience to our operation each day. Our support staff offers over fifty years of experience and will handle your needs with the highest degree of professionalism, efficiency and courtesy. Our office is located at 95 Liberty Street, Springfield and is a short drive from the Hampden County Hall of Justice and Hampden County Housing Court - Western Division. Service is our business. We have a 24-hour on-call Deputy as well as same-day pick-up service. You can take comfort in knowing that the Office of the Sheriff will handle your services professionally and promptly.